In 2016, it was 200 years since the twelve Marist aspirants climbed the hill to the shrine of Our Lady of Fourvière. There they pledged to found a new Society bearing the name of Mary and living her spirit. 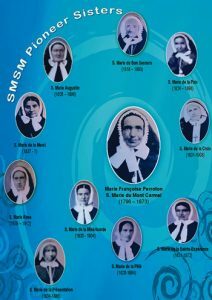 The seeds of the branch of the Marist family known as the Missionary Sisters of the Society of Mary (SMSM) were sown some 30 years after Fourvière, when an intrepid 49-year-old woman, Marie Françoise Perroton, set out for Oceania from Lyon in the company of some Marist priests and brothers. Collaboration is rooted in the SMSM origins, and what follows is a reflection on how collaboration has been lived out by the Sisters’ working with other branches of the Society of Mary. Conscious of the grace given us to be part of the Marist family, concerned with continuing the mission of Mary in the Church, we willingly collaborate with members of the other branches, priests, brothers, sisters and laity, ready to help one another in the work of evangelisation, and seeking with them a deeper understanding of the spirit of Mary which, as Father Colin says, is something so delicate and so profound that it can be grasped only by sustained meditation and prayer. For SMSM, the expression, ‘The work of Mary’ is translated rather as the ‘Mission of Mary’. They mean the same. A brief consideration of the idea of Mary’s family – of Marists –in the early years of Marist history, and its implications for working together. How it is through Marist family ties, and thanks to them, that the SMSM exists as a missionary religious congregation in the Church. Some concrete examples of collaboration of the SMSM with other branches in the work of Mary. There are literally dozens of examples of such collaboration, but the focus will be on only one or two examples relating to each branch. 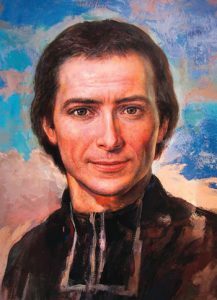 The idea of membership in the Society of Mary was very dear to Founders Jean-Claude Colin, Marcellin Champagnat and Foundress Jeanne Marie Chavoin. 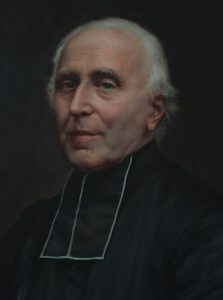 They referred to the Marist project as ‘The Work of Mary’ – an indication of how they understood the founding inspiration. 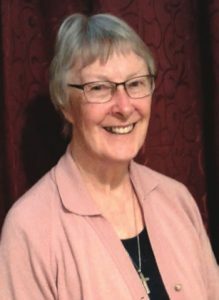 For Fr Colin, ‘Mary’s Work’ was ‘God’s affair.’ 1 To be a member of this family was to be intimately linked with doing the ‘work of Mary’, and living her spirit. 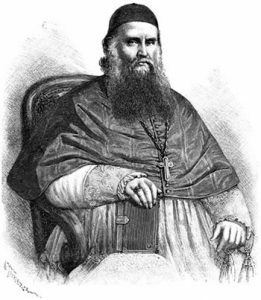 The early Marists were convinced that they had been chosen and incorporated into the family of Mary precisely to do ‘her work’, a work of mercy. It gave them a corporate focus, a common vision for mission, and good reason to collaborate. In the story of Marists in the early years, there are a number of instances where one branch is the means for another to work in the same area – e.g. in some places where Marist Fathers and/or Brothers were established, they requested the presence of Marist Sisters. In the article of the constitutions quoted earlier, the SMSM are urged to collaborate willingly with members of the other branches... ready to help one another in the work of evangelisation. Being the last-born of the family, the SMSM have had a somewhat privileged relationship with other branches in this area of collaboration, and right from the beginning -- collaboration is rooted in the SMSM origins. From the beginning of the mandate given to the Society of Mary in accepting the Oceanian missions, the need for collaboration between priests, brothers – and women (sisters) – becomes evident. 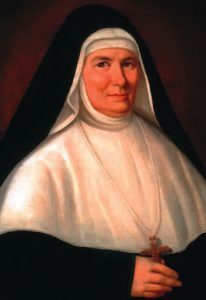 Once the Tertiary Marie Françoise Perroton was in the Marist mission in Wallis, several priests wrote to Father Colin, the Superior General, requesting companions for her. 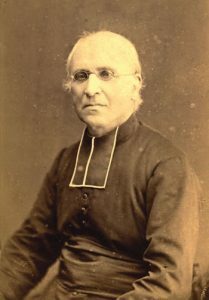 Father Charles Mathieu wanted ‘good young country girls and with common sense, able to grow what they need to live on, and in so doing, teach their pupils to work in their turn’; 3 Father François Junillon wanted to ensure that a work proving so useful to the mission would continue; 4 and Father Joseph Mériais wrote of his concern for the loneliness of Perroton and the need for companions for her. 5 The Society of Mary was instrumental in responding to these requests. 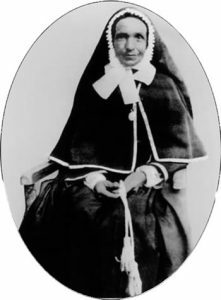 When the ten pioneers who followed Marie Françoise Perroton were sent to Oceania, they were under the auspices of the Society of Mary. They were to be auxiliaries of the Marist missionaries in the work of evangelisation. The spirit they inherited was from the Marist Fathers and Brothers; they were all members of the Third Order of Mary. 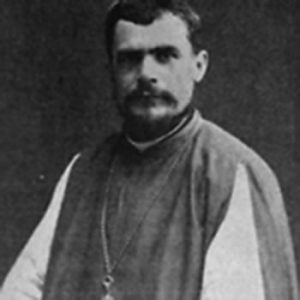 Fathers Favre and Poupinel wrote Rules to help them enter into the work of Mary. Even in testing circumstances that challenged their membership in the Family of Mary, they clung to being Marist as an integral part of their identity. The support and encouragement of Marist priests and brothers, (though not all!) greatly contributed to the early Missionary Sisters of the Society of Mary persevering through the difficult times they experienced. 1 Cf. Origines Maristes (1786 – 1836), Edited by Jean Coste SM – Gaston Lessard SM, 4 Vols., Rome, 1960 - 1967, doc. 449. 2 Letter from all the Christians of Ouvéa to the faithful in Lyons, 10.11.1842, in Our Pioneer Sisters from correspondence 1836-1885 (= OPS), Rome, Vol. I, 1973, Letter 8. 3 Mathieu (Wallis) – Colin (Lyon), 26.08.1849, OPS Vol. I, Letter 20. 4 Junillon (Wallis) – Colin (Lyon), 11.12.1850, OPS Vol. I, 25. 5 Mériais (Wallis) – Colin (Lyon), 30.06.1851, OPS Vol. I, 26. This article is an edited version of a paper delivered in Auckland in 2017. The paper was published in Forum Novum on the Society of Mary website -- www.maristsm.org/en/forum-novum.aspx -- and it is used with the permission of Fr Alois Greiler SM, the editor of Forum Novum.